The year is 1985, and twenty-two-year-old Galen lives with his emotionally dependent mother in a secluded old house surrounded by a walnut orchard in a suburb of Sacramento. He doesn't know who his father is, his abusive grandfather is dead, and his grandmother, losing her memory, has been shipped off to a nursing home. Galen and his mother survive on the family's trust fund—old money that his aunt, Helen, and seventeen-year-old cousin, Jennifer, are determined to get their hands on. Galen, a New Age believer who considers himself an old soul, yearns for transformation: to free himself from the corporeal, to be as weightless as air, to walk on water. But he's powerless to stop the manic binges that overtake him, leading him to fixate on forbidden desires. A prisoner of his body, he is obsessed with thoughts of the boldly flirtatious Jennifer and dreams of shedding himself of the clinging mother whose fears and needs weigh him down. When the family takes a trip to an old cabin in the Sierras, near South Lake Tahoe, tensions crescendo. Caught in a compromising position, Galen will discover the shocking truth of just how far he will go to attain the transcendence he craves. 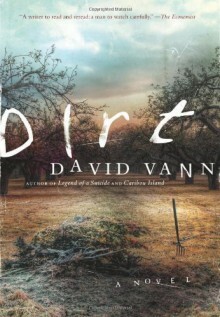 An exhilarating portrayal of a legacy of violence and madness, Dirt is an entirely feverish read.